The Tetra Pak packaging which was originally designed and developed for milk is widely used in the packaging of many foods and beverages. It is important to recycle and recovery of Tetra Pak's due to the different types of recyclable materials included 75% paper, 20% polyethylene and 5% aluminum. There are serious problems in recycling of composite beverage cartons that completed their lifetime and became a waste. A larger part of this packaging waste is disposed in landfills. Therefore, our priority should be performing scientific studies for management of this waste and operating with appropriate management alternatives. In this study, assessment methods and processes of waste composite drinks cartons are researched, and an alternative way is shown which separately recovers cartons, paper, aluminum and polyethylene. Tetra Pak films were cut into over 40 mm pieces, and charged to the reactor with stirring with chloroform. Thus paper, aluminum and polyethylene dissolves in chloroform. The resulting polyethylene and solvent liquid was transferred to distillation unit. The mixture of aluminum and paper remaining in the reactor was boiled and stirred until it turns into a pulp. Filtration of water is ensured by waiting the pulp on the fine sieve and the percentage of remaining solid is determined by analysis at the end of this waiting period. Thus only aluminum is remaining in the reactor. With the designed system, the waste amount of countries going to the solid waste storage areas will decrease and the protection of our environment will be provided. Tetrapak recovery will be a long-term economic investment. Recycling sector will be a step more advanced. The study will also result in allowing new technologies and reducing raw material needs.
.	Abreu M., Recycling Tha Fibres On Tetra Pak Cartons. Tetra Pak Canada Inc. 2000.
.	Pietikäinen, V., Collection and recycling of beverage cartons at AIT. Project report. 2008.
.	Ayrılmış, N., Kaymakçı, A., Akbulut, T., Elmas, G. M. “Mechanical Performance Of Composites Based On Wastes Of Polyethylene Aluminum And Lignocellulosics” Composites: Part B, 47, 150-154.
.	Korkmaz, A., Yanık, J., Brebu, M., Vasile, C. “Pyrolysis Of The Tetra Pak”, Waste Management, 29, 2836-2841. 2009. ISNAD KARABOYACI, Mustafa . "Process Design for the Recycling Of Tetra Pak Components". 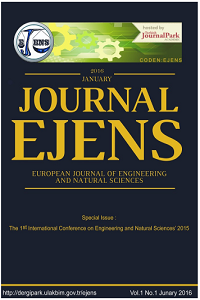 European Journal of Engineering and Natural Sciences 2 / 1 (February 2017): 126-129.